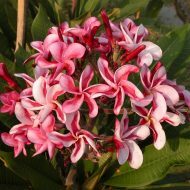 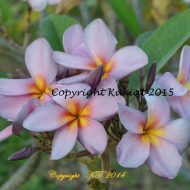 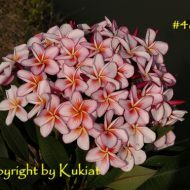 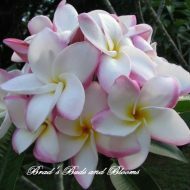 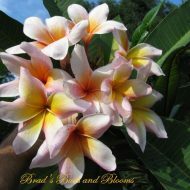 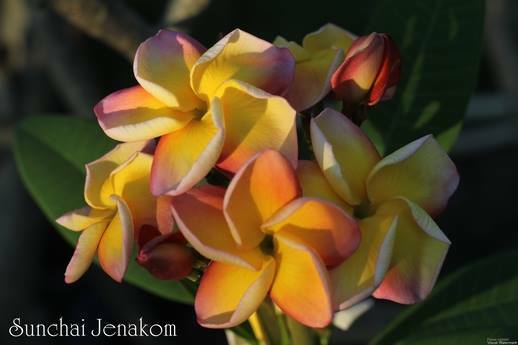 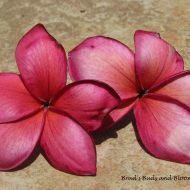 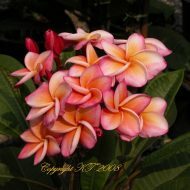 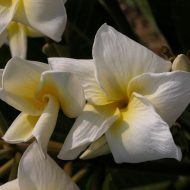 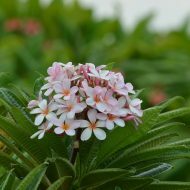 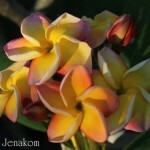 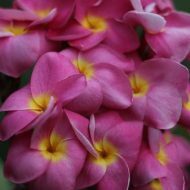 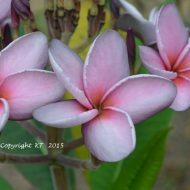 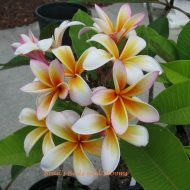 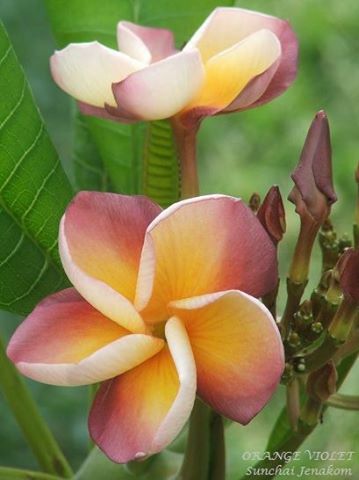 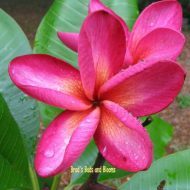 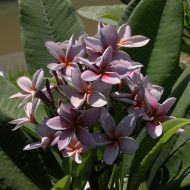 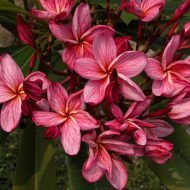 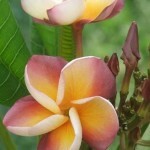 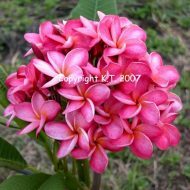 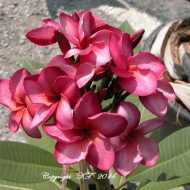 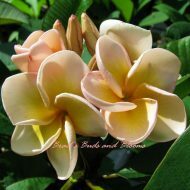 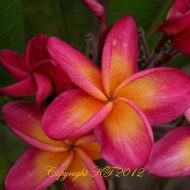 Home	> Shop	> Plumeria	> From Thailand	> Orange Violet- A rare beauty! 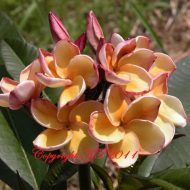 This lovely Thai beauty from Sunchai in Thailand produces nice clusters of 3″ blooms, with rounded petals with rolled sides. 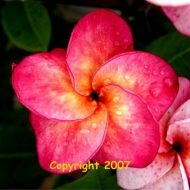 The colors are of lovely orange, deep pink, some gold, and a contrasting violet hue on the outer petal edges. 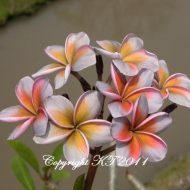 The latter seems difficult to capture properly in a picture, but seeing it in person is a real treat! 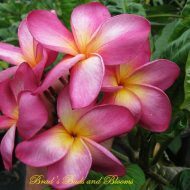 Flowers are sweetly scented and colors tend to deepen with more heat. 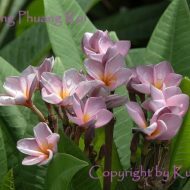 The tree tends towards compact habit and blooms on shorter tips. 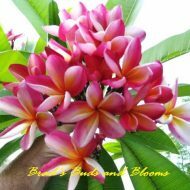 Nice sized grafted plants ranging in size from 13-18″ measured from the soil line.